A Project Officer teaching how to use basic medecine for poultry diseases. November is ‘will aid’ month, where people are encouraged to leave a legacy in their will by donating to a charity. When Jane Halle passed away in 2014, African Initiatives received enough money to begin a new sub-project in partnership with the Community Self-Relief Centre (CSRC) in Ghana. This project supported CSRC’s projects on Mainstream Sustainable Agriculture & Alternative Livelihoods Support and has had a real impact on vulnerable communities. All the initiatives undertaken in the sub project are designed to reach out to the most vulnerable in rural areas including women and the disabled. Here’s a list of 5 activities that have been funded by the Jane Hallé project and could continue to grow through further legacy funding. Farming is traditionally a male activity, but CSRC sought out women who were interested in chicken farming. The women are empowered through gaining financial independence and control. In total, 54 farmers of whom 36 were women and 16 were disabled men, were supplied with 200 chickens and 2,000 guinea fowl eggs. African Initiatives have received reports that these chickens are now laying fertilised eggs, to be hatched in the traditional manner. Bees and beehives are a quick and easy way for women to develop their own income. Not only do the bees help protect the environment, but they are easy to manage and aid the pollination of crops. Additionally, the honey produced by the bees has an incredibly good market in these rural communities as it is used for its medicinal properties. CSRC purchased and distributed 20 beehives across 4 communities where 64% of the beneficiary farmers were women. Micro-loans are a proven tool for keeping small rural communities financially afloat. 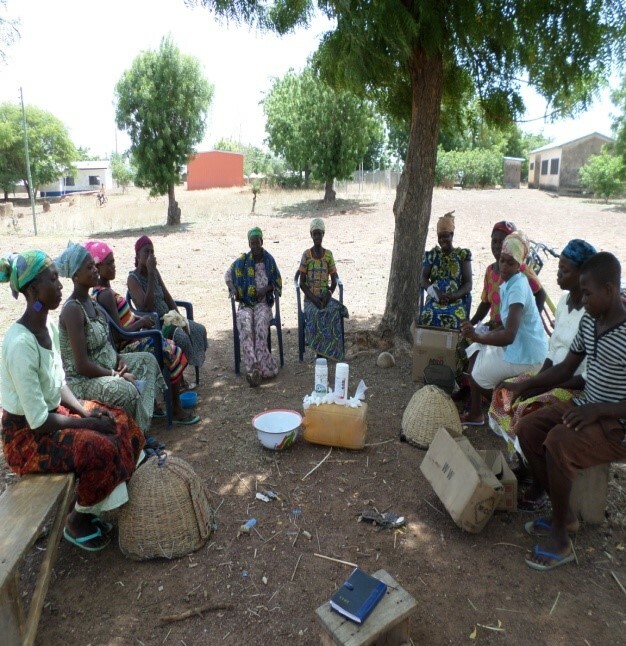 The Jane Halle Legacy sub-project has funded training and the formation of village saving and loan groups. These groups invest funds into shares and these savings then act as social fund from which its members can borrow money with a small service charge. Social grants are also offered and members can use these monetary funds as a means of self-insurance. The 20 VSL groups have saved on average 3,000 Ghana cedis, around £505 and this amount is continuing to grow. The junior high schools received computers, purchased through the legacy left by Jane Halle. 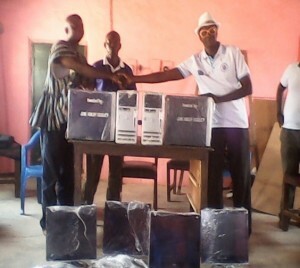 For Narango and Tansia high schools, these were the first computers they have ever received. Unaware of their incoming donations and the schools were delighted with the surprise. By supplying schools with computers students can gain important IT skills which are so valuable for future employment opportunities. Sesame seeds are one of the best crops for farmers with varying qualities of land. They are resistant to drought, high yielding and additionally have a good market price. The project piloted 50 women farmers with sesame seeds and plans to expand if successful. Crops produce a better harvest when they are planted before the rainy season, so the women received pay for animal ploughing support and tools for early farming. So far 21 acres have been cropped by the 50 female farmers. The Jane Halle Legacy sub-projects have reached a total of 1892 people so far! African Initiatives would like to thank Jane’s family, we are so grateful that Jane remembered us and CSRC in her will. If you are interested in leaving a legacy with African Initiatives, please follow the link to our Legacy page. How did you celebrate Africa Day?